This Sealey Space Warmer Propane heater with stand is an ideal solution to heat up your garage, utility room, workshop, greenhouse and shed. With an adjustable output between 9,200 - 17,000 Btu/hr it is sure to quickly and efficiently warm your space in the winter months. 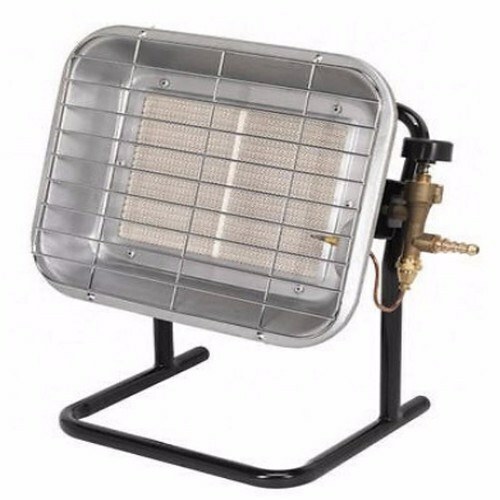 This heater comes with a 1.5M gas hose so you can safelystow the propane tank away from direct heat sources. With a steel tubed stand & integral handle this space warmer is the ideal portable heating solution for campers, outdoor contractors, fishermen and much more. Electrical World Replies: A db reading isnt avilable on this but from seeing one being used recently there is a small hiss from the gas burning.